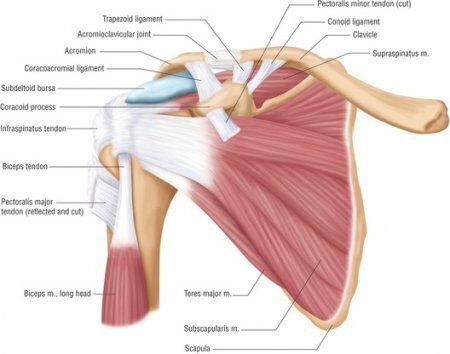 The subdeltoid bursa is located in the shoulder joint inferior to the deltoid muscle and superior to the head of the humerus. It is a thin, flat sac made of fibrous connective tissue lined with synovial membrane. The synovial membrane produces an oily secretion known as synovial fluid that helps to reduce friction within the bursa during movements at the shoulder joint.